Canada’s new copyright notice-and-notice system has been in place for less than a week, but rights holders are already exploiting a loophole to send demands for payment citing false legal information. Earlier this week, a Canadian ISP forwarded to me a sample notice it received from Rightscorp on behalf of BMG Rights Management. The notice, which is posted below with identifying information removed, must be forwarded to the subscriber or the ISP faces the possibility of statutory damages of between $5 – 10,000. Rightscorp announced that it was entering the Canadian market last year, so its participation in the notice-and-notice system is not a surprise. What is surprising is that the company has brought its model of issuing demands for payments to Canada by warning of U.S. damage awards and Internet termination in order to stoke fear among Canadians that they could face massive liability if they refuse to pay. The notice falsely warns that the recipient could be liable for up to $150,000 per infringement when the reality is that Canadian law caps liability for non-commercial infringement at $5,000 for all infringements. The notice also warns that the user’s Internet service could be suspended, yet there is no such provision under Canadian law. 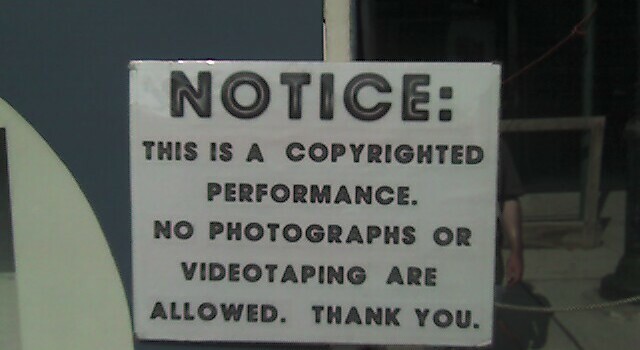 Moreover, given the existence of the private copying system (which features levies on blank media such as CDs), some experts argue that certain personal music downloads may qualify as private copying and therefore be legal in Canada (Howard Knopf explains the applicability when the music is copied to “audio recording medium”). In addition to misstating Canadian law, the notice is instructive for what it does not say. While a recipient might fear a lawsuit with huge liability, there is very little likelihood of a lawsuit given that Rightscorp and BMG do not have the personal information of the subscriber. To obtain that information, they would need a court order, which can be a very expensive proposition. Moreover, this is merely an allegation that would need to be proven in court (assuming the rights holder is able to obtain a court order for the subscriber information). Your ISP has forwarded you this notice. Your ISP account has been used to download, upload or offer for upload copyrighted content in a manner that infringes on the rights of the copyright owner. Your ISP service could be suspended if this matter is not resolved. You could be liable for up to $150,000 per infringement in civil penalties. The file BMG Artist – BMG Song.mp3 was infringed upon by a computer at IP Address 192.—.—.— on 2015-01-02 00:00:00.0 GMT. We represent the copyright owner. This notice is an offer of settlement. If you follow the link below and login to the Rightscorp, Inc. automated settlement system, for $20 per infringement, you will receive a legal release from the copyright owner. compositions, including the musical compositions listed below. It has come to our attention that ISP Internet Services Provider is the service provider for the IP address listed below, from which unauthorized copying and distribution (downloading, uploading, file serving, file ‘swapping’ or other similar activities) of BMG’s exclusive copyrights listed below is taking place. This unauthorized copying and/or distribution constitutes copyright infringement under the U.S. Copyright Act. Pursuant to 17 U.S.C. 512(c), this letter serves as actual notice of infringement. We hereby demand you immediately and permanently cease and desist the unauthorized copying and/or distribution (including, but not limited to downloading, uploading, file sharing, file ‘swapping’ or other similar activities) of recordings of BMG Artist compositions, including but not limited to those items listed in this correspondence. BMG will pursue every available remedy including injunctions and recovery of attorney’s fees, costs and any and all other damages which are incurred by BMG as a result of any action that is commenced against you. Nothing contained or omitted from this letter is, or shall be deemed to be either a full statement of the facts or applicable law, an admission of any fact, or a waiver or limitation of any of BMG’s rights or remedies, all of which are specifically retained and reserved. The information in this notification is accurate. We have a good faith belief that use of the material in the manner complained of herein is not authorized by the copyright owner, its agent, or by operation of law. I swear, under penalty of perjury, that I am authorized to act on behalf of the owner of the exclusive rights that have been infringed. While BMG is entitled to monetary damages from the infringing party under 17 U.S.C. Section 504, The BMG believes that it may be expeditious to settle this matter without the need of costly and time-consuming litigation. If you need immediate assistance or if you have general questions please call the number listed above. In a nutshell, Rightscorp and BMG are using the notice-and-notice system to require ISPs to send threats and misstatements of Canadian law in an effort to extract payments based on unproven infringement allegations. Many Canadians may be frightened into a settlement payment since they will be unaware that some of the legal information in the notice is inaccurate and that Rightscorp and BMG do not know who they are. The government could have avoided this misuse of the system had it issued regulations specifying the precise content of the notices. Despite months of discussions on the regulations, Industry Minister James Moore abandoned the process, implementing the system with no additional information requirements and no sanctions for the inclusion of false or misleading information. The government’s backgrounder says that the law “sets clear rules on the content of these notices”, however, it does not restrict the ability for rights holders to include information that goes beyond the statutory minimum. Rightscorp and BMG are exploiting this loophole to send demands for payment accompanied by false information on Canadian law. These actions necessitate two responses. First, Internet service providers should add their own information to the notices, advising their subscribers on the true state of Canadian law and reassuring them that they have not disclosed their personal information to the notice sender. The law does not prohibit ISPs from adding additional information within the forwarded notice and they should begin doing so immediately. Second, the government should quickly implement regulations prohibiting the inclusion of settlement demands within the notices and creating penalties for those companies that send notices with false or misleading information. The Canadian government has frequently defended the notice-and-notice system as a balanced approach, but its fairness is being undermined with Canadians now facing the prospect of misleading settlement demands. This doesn’t seem much different than the criminal robo calls that attempt to trick people. BMG and Rightscorp should be held to the same standard of attempted fraud. There is no loophole. The law requires that the content of the notice conform to the proscribed regulations, it’s not open ended. That line closes any loophole about false notices. All that clause seems to describe is “form”. I don’t see anything addressing CONTENT. Surely a provider can refuse to disseminate information it knows to be false to its customers, can’t it? I’m sure there’s already laws concerning that kind of thing. (I’m going to be researching that, as soon as I get a minute to do so.) It doesn’t sound logical that any 3rd party would have the right to inflict that kind of participation on anyone or any company. I don’t think the information is false, just misleading. Being sued for personal use of illegally downloaded media is a very different amount than being sued for commercially downloaded media(especially when there is profit involved). If they can prove you are profiting then it probably is $150,000 but the average user does not profit. So if this is the case, than why are legal threats of $150,000 being passed on to users in the first place by the ISP? No infringement has taken place. This is a huge mistake that the big three (Bell, Rogers, Cogeco) could take serious advantage of. They can refuse to deliver the letter if the information within it is false and not adherent to the new law. This may give them the excuse they need to NOT send out any letters or provide any information. Nice going guys! Except ISP’s face up to $10k in damages if they don’t deliver the notice. And they can receive thousands of notices *per day*. Do you really think someone is going to check each and every one for accuracy? The company is attempting to obtain money and it is making a false statement to do so, rather specifically misrepresenting what the recipient can expect from the company in a Canadian court. The statements are not “exaggerated commendation or depreciation of the quality of anything” which I understand are allowed. As a non-lawyer, this sounds a lot like something for the fraud squad to investigate, or for a court order to stop cold. Could a responsible ISP wrap the notice in more text to make it clear that they don’t necessarily support the claims in the notice? I think they would have to. If they are to avoid communicating what they know to be false information then one would think they at least need some kind of disclaimer. In any case, the ISP shouldn’t need to be involved. This is one for the fraud squad. Fraud squad? Sounds more like extortion to me, especially if these downloads are legal due to the private copy levy. As an aiSP, I’d be less worried about being fined for not passing these types of letters through, than I would be for being an accessory to a crminal act of extortion. But then again, why would ISPs Care anyway? They ate making money everytime they forward off notices. Geez, I wish MG would find a way to for commentors to edit comments. Sorry for the typos. Why would they? They lobbied for this approach in 2009. The current Harper Government™ is not interested in hobbling big foreign croporations’ ability to gouge and bleed dry canadian citizens. Hence the deliberately left loophole. Business is simply the art of setting up some oxdung and hoping that nobody will call it but instead that people will sheepishly abide by the outrageous terms. Basically, all they did was dupe and revise the notice letter used in the voluntary US system (tipoff: reference to US Copyright statute). It’s about the laziest thing I’ve ever seen, in addition to outrageously misleading. This only works once in front of a court, but would allow them an excuse to pull back and still claim to have been acting in good faith. And if no-one objects, they they walk away with all the “settlements” they have obtained by a putatively honest misstatement. If you received one of these, and you paid the $20, identifying yourself, could they then file a judgement against you in US court and have you snagged at the border if you travel to the US? If they felt they could benefit by a show trial, they almost certainly could. How would anyone ever know if the song they are listening to, or video they are watching, is being streamed from a “licenced” site? How would anyone ever know if the settlement offer they were sent had come from a legitimate source? I mean, won’t scammers soon be spamming us all asking for “settlement” payments via paypal to be sent to their “offices” at ritescorp.biz and right-corp.info, etc…? Obviously this law will be struck down eventually. The $20.00 settlement proposal is less than the cost of a parking ticket, and many pay those as a normal every day expense. Expect that many will settle without question, giving up vital information in the process. That information can be used for greater demands next time. Those who don’t agree to settle would do well not to feed the troll. The “$20.00” is PER INFRINGEMENT, so every song/movie they claim you downloaded is $20. So, it is not a $20 total. There is a $5000 cap on all infringements… which is only 200 infringements. So there will never be a case of someone paying $150,000 which means the letter being sent out is lying. There is nothing in the notice to suggest that any more one infringement is at issue. It’s a very low amount when compared to similar notices in the past. That leads me to the inference that the notice is seeking information more than the $20. Didn’t the judge who singed off on the notice-notice system warn big media not o go fishing? Wasn’t there a comment that this was not to be an extortion exercise? Isn’t that exactly what happened? Rightscorp and BMG are behaving as MAFIA. They ARE mafia! After reading the notice, it doesn’t specify whether the Rights holder(s) intend on pursuing legal action under Canadian law or U.S. law. The mention of fines upwards of 150.000$ isn’t false or misleading should the Rights holder decide to file a claim under the U.S. Copyright Act. Interesting information! Well, in the first place, and I’m shocked! Not really. BMG and other companies will now use this as a campaign method to reach out to users with their threats. On the one hand, it is good in the sense that users can see who is accusing them of copyright violation. In the USA, the isp is not required to send the notification to the user or accused. The private recording ‘loophole’ is also in US law – Audio Home Recording Act. Finally, and maybe this should have been firstly… There’s jurisdiction. An attempt to impose US restrictions on Canadians seems like a desperate measure. If any case actually makes it into the courtroom, jurisdiction dismissal may be a possibility. Media compaines have a history of threatening users. This may be unintended consequences and abuse of the system. I can only speculate these isps working to comply and the impact of incurring the cost. The messages reference “torrent”, which can read to imply the infringement is for uploading rather then downloading – something not covered by fair use/home copies. My thoughts exactly. Someone entered a a very misleading post on that very issue above. Jason K implies “private” is the same as public dissemination? Unless bit torrent file sharing is private and for non-commercial *personal* Uses??? Jason merely presented the possibility that DOWNloading music may qualify as “private use”. I don’t see the words “public dissemination” in there. Many Canadians, such as myself, are dual citizens. As such it is unclear if we can be charged under US copyright law violations. I do know I could be charged with other legal violations without stepping foot in Canada. For example, if I book a stay in Cuba, only use my Canadian passport, and fly to and from directly from Canada, I could still be charged for violating the financial ban on Cuba. In Canada, Canadians don’t answer to American laws.. plan and simple. If your still concerned download and set up Tor. Take what you can, give nothing back!!! Oh if only that was true. One fairly recent example is every Canadian was required to fill out a form for there bank accounts indicating if they were a us person… Not too long ago there was an antiterrism bill that allows us police to investigate and even make arrests in Canada… Canada keeps surrendering bits of its freedoms to the us. It is not just dual citizens that need to be concerned, but every Canadian. As I understand it, e-mail is not a legal method by which to notify someone for legal prosecution. That has to be done by mail or fax. So these notices would be invalid. I really don’t think anyone in government understood what they were passing when they allowed the forwarding of notices. It’s one thing to notify someone they’re breaking copyright, it’s another thing to make them believe they have to pay up. These notices should be illegal. Simply identifying the account holder associated with an IP address tells us very little about who actually pirated any copyrighted material. When over 60% of Internet users now using a WiFi enabled home router/modem sharing one IP address, it is hard to identify with a high degree of reliability, of who had control of the offending computer.” Couple that with weak passwords or worse yet no passwords in their home networks, unauthorized individuals may piggyback on the unsuspecting account holders Internet connection to perpetrate the piracy. To hold the account holder responsible for that ,would be no different then holding a car owner responsible for crimes committed with his stolen car. Are these notices not a form of harassment? Anyone receiving a notice like this should go do some research on the legislation, taking detailed notes and keeping track of time. They should then send, by registered mail, a dispute of the demand with an explanation. The letter should include an invoice for legal research at $200/hour, due on receipt. In all probability they’ll go away, but they may ignore you and persist, If they do you should repeat the process until the bill is significant (anywhere from $1,000 to $5000). Even if they go away, file for payment in small claims court. Odds are pretty good that your demand for payment has a lot more merit than theirs does (after all you have notes and time logs and lists of documents read), and you’re likely to prevail. A US image bank tried the demand notice route for an image I had inadvertently used. They wanted about $900! When I ignored them, they sent the fake demand to a fake collection agency. I dutifully told them to go away, with an ever increasing bill, until they owed me over $1000. Then I sent them a note by registered mail that they should pay up, shut up, or be prepared to go to court. They shut up. Why are these not covered in the SPAM litigation? They are definitely unsolicited mail from the sender. I live in a city where free wireless Internet is provided. What is Rightscorp to do? Sue the entire City for infringement. Not a likely scenario since the internet address is bulk. They have lots of bluff in their notices but in my case I doubt it could be enforced as they could never dial it down to a specific address. They could be close but close only counts in Horseshoes and Grenades. Thank god I live in an enlightened community that supplies hi-speed wireless Internet for free!! It is no where near as fast as current speeds for paid suppliers but it works for what I do which doesn’t include downloading much of Hollywood’s fluff! For decades I’ve bought albums and CDs at $15 – $20 each, probably totalling in the tens of thousands of dollars worth. A lot of that money went to SONY BMG. Most of the time, I was fortunate to get 1-3 songs per album that were adequate. Now we enter the digital age, and we are urged to buy only the song we want. Unfortunately we seldom get to hear any of the other songs on the album. So without access to the other songs, I now stick to buying the albums and CDs of artists that have a track record for putting out great albums. That is all. My spending has gone way down and SONY BMG and their collection entities like Rightscorp only have themselves to blame for treating people like common criminals and making it next to impossible for people to gather around and share good music. i think its all kinda cute but they will see there day in court from the looks of it. I have a quesiton: Should the copyright holder actually go through the process of obtaining your information and bringing your case to court, could you be criminally charged for downloading media content? I’m wondering in the case of seeking employment. Or would this be a fine leaving you with no criminal record. These are suits, not charges at the moment. The trolls often threaten charges in the U.S., though, so expect them to talk about such, except within earshot of the courts.